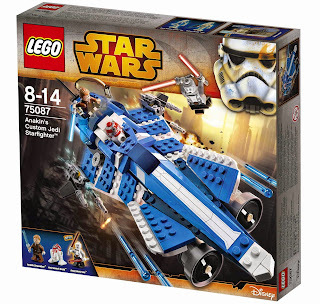 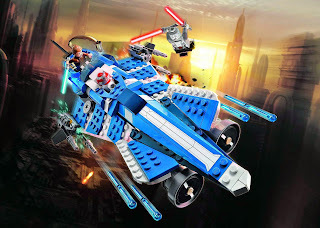 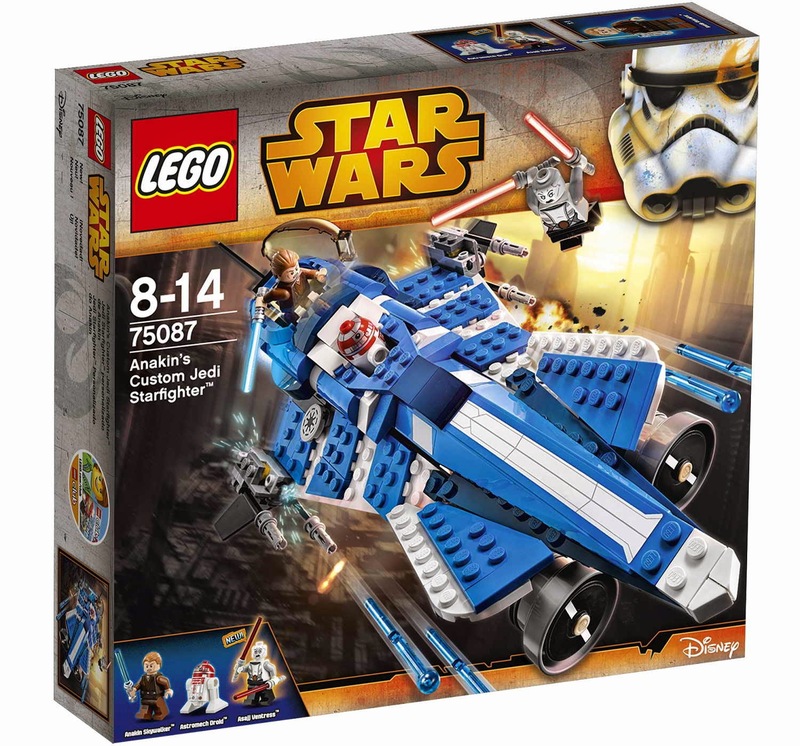 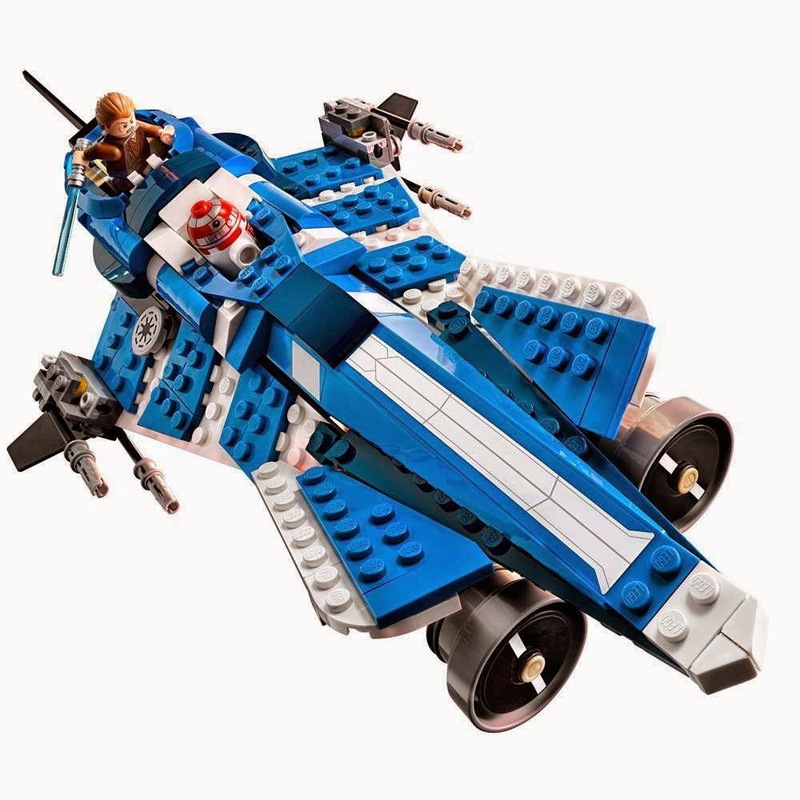 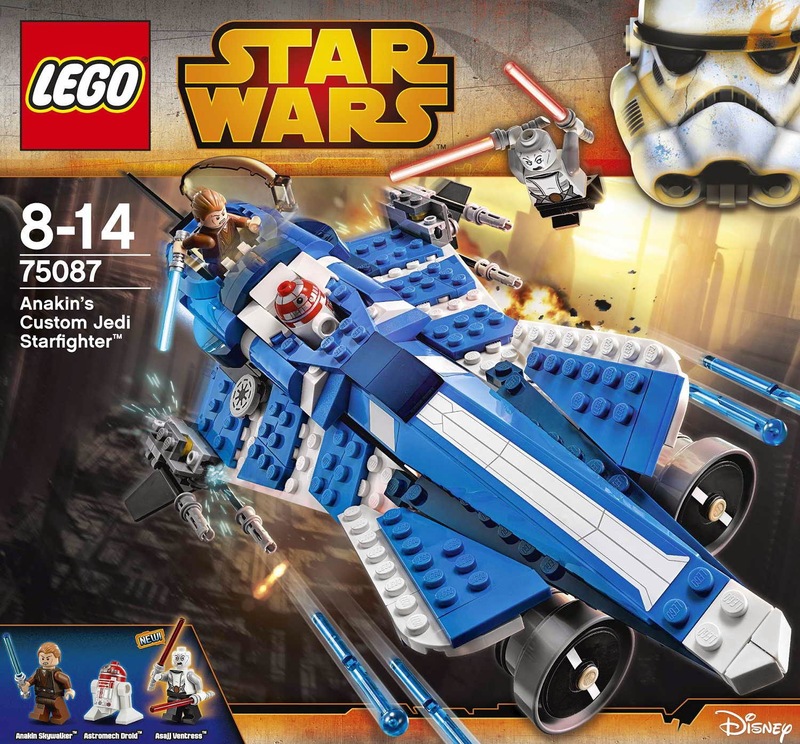 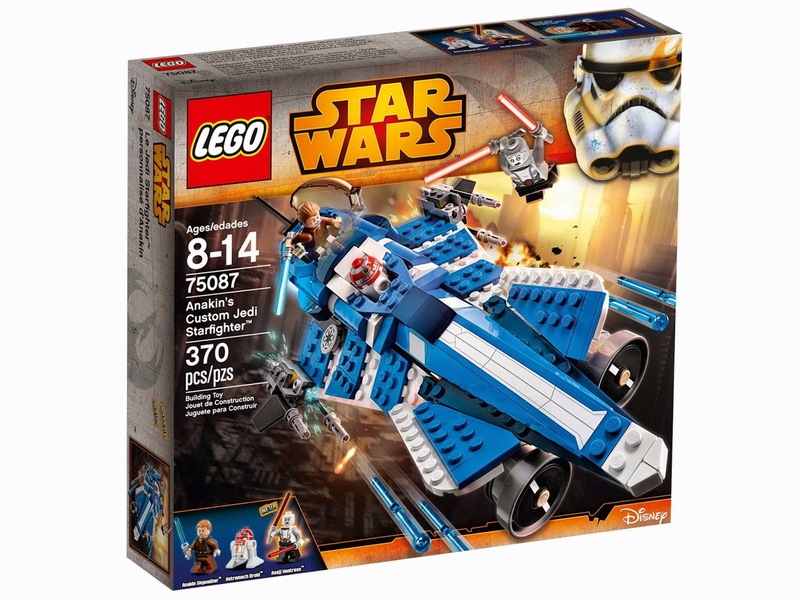 come with an anakin's custom jedi starfighter. 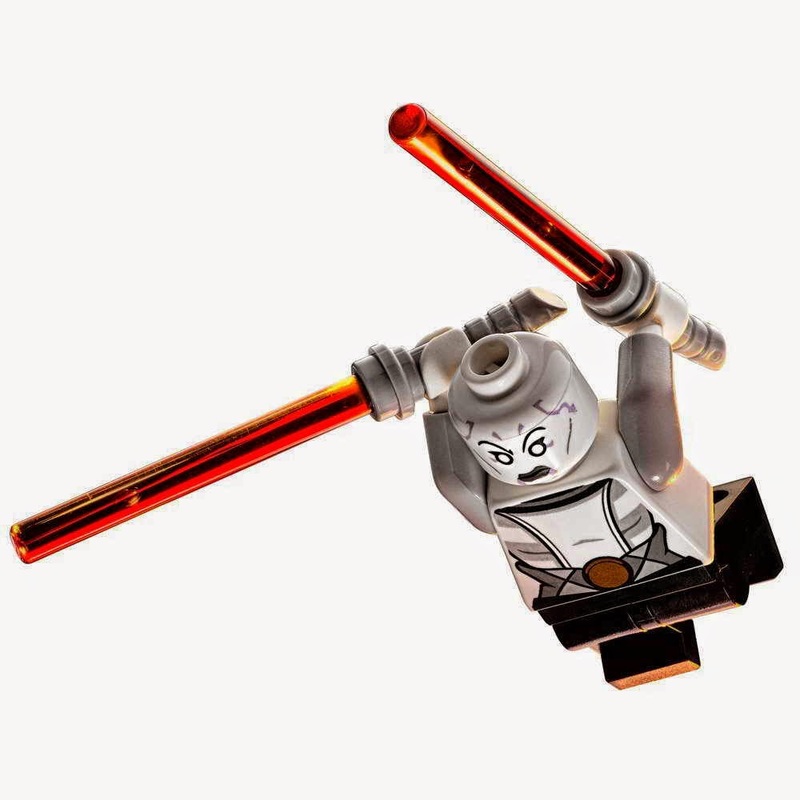 the starfighter has an openable cockpit, a detachable escape pod, a droid eject function, a retractable landing gear, a lightsabre storage and 4 spring loaded shooters. 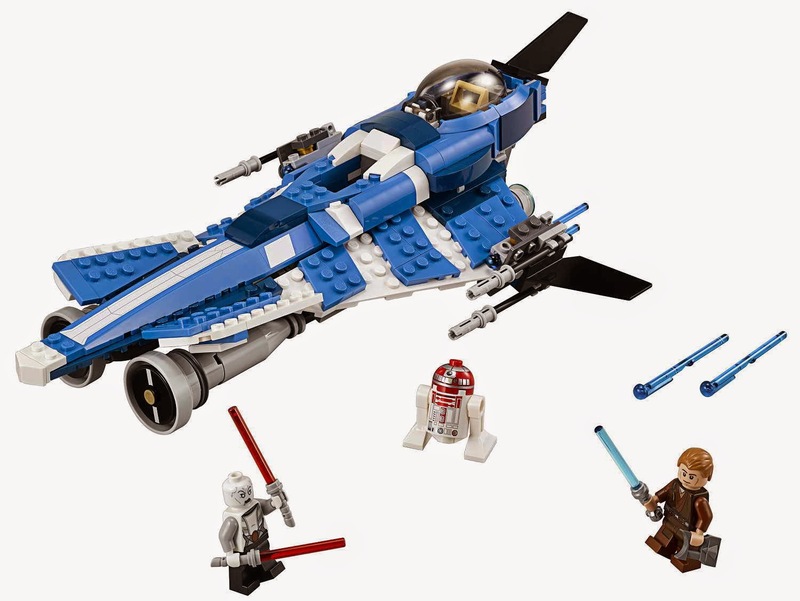 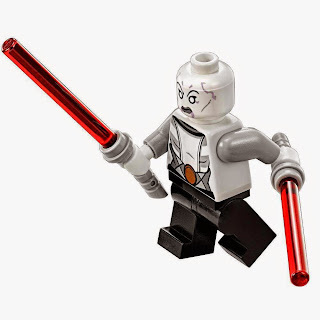 minifigs included an anakin skywalker minifig and an asajj ventress minifig and an astromech droid minifig.